Japanese Cinema | Cinema, etc. Whilst Studio Ghibli has been a powerhouse of cinema in the East for many decades – since being born of the release of 風の谷のナウシカ / Nausicaä of the Valley of the Sea in 1984 – many Western cinema-goers weren’t introduced to the wonders of the animation house until 2003. This was the year that Spirited Away reached the wider audiences after being nominated and winning the Academy Award for Best Animated Feature. Those whose interest was peaked enough were rewarded with a fantastic picture realised in beautiful 2D traditional animation. Its use magically imaginative turns that seemed uniquely Eastern mesmerised the audiences, allowing its popularity to grow through word of mouth and causing a renewed interest in the studio’s back catalogue. The story itself follows ten-year-old girl Chihiro who is moving house to a new and unfamiliar location with her parents (a familiar opening gambit in a Ghibli picture). Accidentally stumbling upon an abandoned amusement park, her mother and father greedily consume some mysterious but luxurious food whilst Chihiro investigates the surroundings. By the time she returns, her parents have turned into pigs and she cannot escape, forcing her to go deeper into the mysterious world to try to work out how to turn her parents back to humans and allow her life to return to normality. In its most basic form, it is a coming of age tale akin to Alice in Wonderland, with a setting that is just as supernatural as the western equivalent. She is forced to find her identity as an adult after having her childhood identity removed from her – including her name – and only by doing so can she bring back her parents. Whether this means the film is set in a supernatural world, or the middle portion of the film is simply a figment of her imagination is open to debate. Certainly the possibility is there that she has slipped into a dream and this is a manifestation of her fears and resistance to growing up. However, Miyazaki clearly decided to show that Zeniba’s hair band was still in her hair after her return to the “normal” world, a move to clearly show this wasn’t a dream at all. A subtle but sweet reveal. It was a reminder of how to do it properly. Disney was yet to move away from traditional animation in favour of the 3D animation being celebrated by the likes of Pixar and Dreamworks, instead releasing both Lilo and Stitch and Treasure Planet in the year this reached western cinemas. In contrast, Studio Ghibli wasn’t afraid to aim squarely at a more adult audience, and hadn’t been for years. Spirited Away was just the tip of the iceberg – representative of a rich body of work but standing out as one of their greatest achievements. 浪華悲歌 / Osaka Elegy, now eighty years old, came midway into director Kenji Mizoguchi’s career. Despite this, it is one of the earliest examples of Kenji Mizoguchi’s work readily available to view by the general public and has just been restored and released by Artificial Eye as part of a boxset titles The Mizoguchi Collection. By today’s standards, it has a strange narrative that seemingly unravels itself from a reasonably happy place to a completely unhappy place for everyone unlucky enough to be wound up in the story. It is built around telephone operator Ayako (Isuzu Yamada), a girl who uses manipulation out of desperation for her own family. Her father is struggling to keep afloat financially after finding himself unemployed and owing 300 JPY. Her brother is also in desperate need of money to pay for his tuition fees or he will be thrown off his course. A solution presents itself in the form of Sumiko Asai (Yoko Umemura), the owner of a successful drugs company who has taken a shine to Ayako. Agreeing to be his mistress to solve the financial issues, she soon realises that the solution isn’t quite as simple as she had hoped. The topics covered by the film are explored and exploited. It’s a clever technique as the initial story seems quite bland. 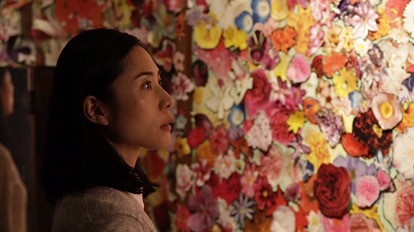 As the reality is revealed to those involved Ayako comes out as the only person to be perceived to be in the wrong. Several men have had an affair with a girl under half their age, effectively buying her time, but they are above the law due to their standing in society. Since she is perceived to be of a lower class, it is on her that the blame is left. She was in fact trying to live by her giri morals – the duty to do right by ones family. Whilst her methods may be unorthadox, she never sways far from these morals. The most upsetting part is her final line in the film, revealing that she believes herself to be a delinquent. The quality of the film is lost slightly by the poor condition of the remaining footage. Throughout the film there are issues with sound – the constant background hiss is quite off-putting, there’s the odd loud pop and the dialogue can feel muffled. It’s not inaudible, but a far cry from perfect. Similarly, the picture quality is poor, particularly in the darkened interiors of the traditional Osakan houses where the blacks appear muddy. This, like the sound, is not the fault of Artificial Eye. They’ve clearly made a decent job of some imperfect source material. It’s a shame, but realistically this is a business venture and spending the money to restore relatively obscure Mizoguchi films would be hard to justify. As I understand, the other three films in this box set (The Story of the Last Chrysthanthemum, Utamaro and His Five Women, Sisters of the Gion) are all in the same boat, with imperfections in both audio and visuals (I haven’t watched them yet). That these films have surfaced at all is enough to be grateful for and those looking for more Mizoguchi after enjoying the Master of Cinema releases will be well served. As such, despite the flaws this box set is a recommended purchase. 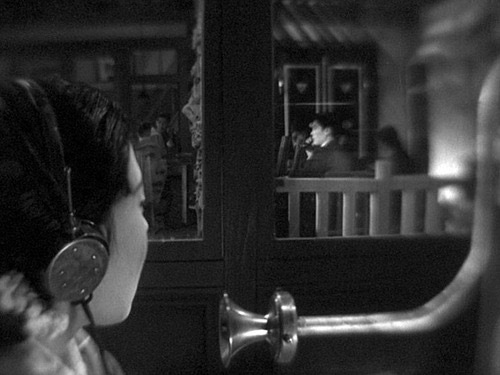 Teinosuke Kinugasa’s film Gate of Hell was a global smash upon its original release, winning the Palme d’Or at the Cannes Film Festival in 1954, plus a couple of Academy Awards. Now re-released sixty years on by Masters of Cinema and Criterion, cinemaphiles are able to enjoy the film all over again, allowing a whole new generation to appreciate a masterful piece of cinema. Set in 1159 Japan, the plot centres around Morito Endo (played by Kazuo Hasegawa), who is involved with evacuating Sanjō Palace in Kyoto during a revolt. A woman, Lady Kesa (Machiko Kyō) volunteers as decoy for the shogun’s sister, and he is amongst those asked to transport her out of the palace and lure the attackers away from the real princess. The plan is successful, and as a reward for his heroism he is offered a gift of his choosing. 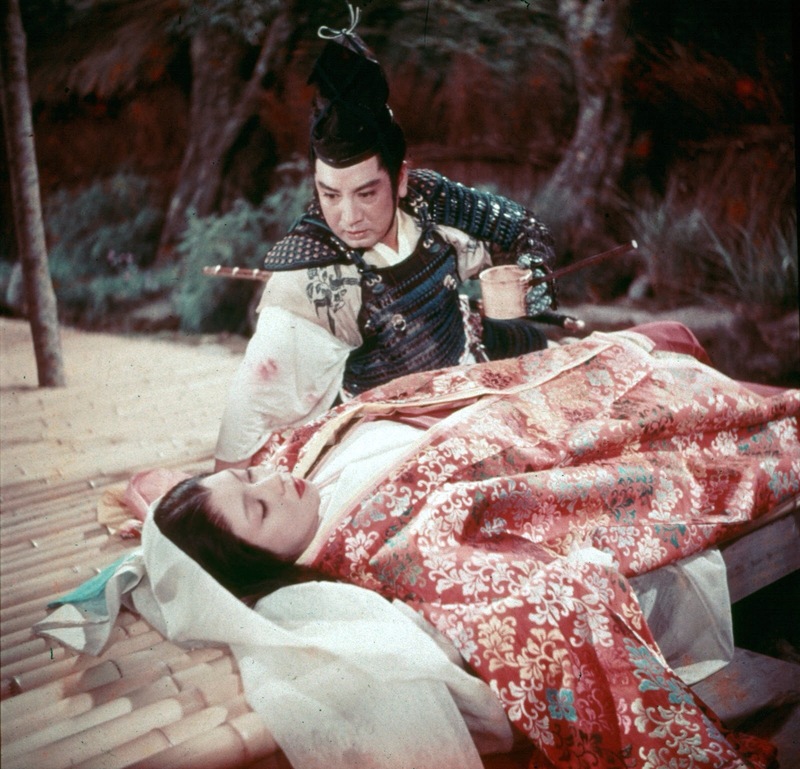 Unfortunately, he requests Kesa’s hand in marriage, only to find out that she is already wed. For a proud samurai, this is a disastrous embarrassment, and the film from then on deals with the emotional effect this has on Morito, Kesa and Kesa’s husband Wataru Watanabe (played by Isao Yamagata). The film looks and sounds brilliant from the start, with the recently developed Eastmancolor used to bring 12th Century Japan to life. It is an alternative view of the shogun era of Japan, which so often at the time had been detailed in popular films by the likes of Akira Kurosawa and Yasujirō Ozu, but in black and white. I can only imagine what it must have been like to see this film back in 1954 and be blown away by the loud visuals and intricate costumes. That said, a film wouldn’t endure for sixty years without a fantastic story and excellent acting, and this film has those in abundance. It’s paced perfectly and at 90 minutes there isn’t much in the way of filler. The actors are on top form too, harking back to the recently-diminished silent film era with long periods of silence counteracted with extreme close ups as emotions engulf their faces. It is a clever technique and one that would have helped set it apart when it reached Western audiences. It is interesting to think of those comments in terms of the global view of Japan today. Buoyed by the hyper-acceleration of popularity of new technology and most global brands from Japan being technology-based (Sony and Nintendo spring to mind), it is ironic that they pulled themselves out of financial struggles to launch themselves forwards by looking so far into their past, especially when in this case the film’s initial popularity seems to be in part down to the use of cutting-edge film colouring technology. Gate of Hell is out now on Masters of Cinema and Criterion Blu-ray and DVD.